Given a stronger gold price over the past three weeks, it seems a good time for an update on prospect generator and royalty company Ely Gold Royalties Inc (ELY.TSXV; ELYGF.OTCQB). I initiated coverage on February 2. Since then, the company has been very busy staking, acquiring, and optioning new properties and royalties. I picked ELY at its 52-week low of 9 cents. Here is the chart showing its high of 13.5 cents and today’s close at 11 cents. Considering the poor performance for gold, down over 5% so far in 2018, the positive performance of Ely Gold Royalties is encouraging. Let’s review the company’s news flow since early February. In late February, ELY optioned another property, North Carlin, in Elko County, Nevada to favored partner Fremont Gold Ltd for annual payments and a 2% NSR. The project is on the north extension of the Carlin Trend and adjacent to the currently operating Rossi barite mine and near the South Arturo gold deposit held by Barrick Gold / Premier Gold Mines. Note that I recently looked at this ground with Fremont geologists. In mid-March, it sold the 54-claim County Line property in Mineral and Nye Counties, Nevada to another favored partner, Gold Resources Corp, for a lump sum payment and retained a 3% NSR. In late March, the company optioned its four Monitor claims in Nye Country, Nevada to Orla Mining Ltd and retained a 2.5% NSR. In early May, ELY sold its Kraut project consisting of six unpatented mining claims in Nye Country, Nevada to VR Resources for cash and shares and retained a 2.0% NSR. It also holds a 3% NSR on VR Resources’ flagship Danbo project located five km away. 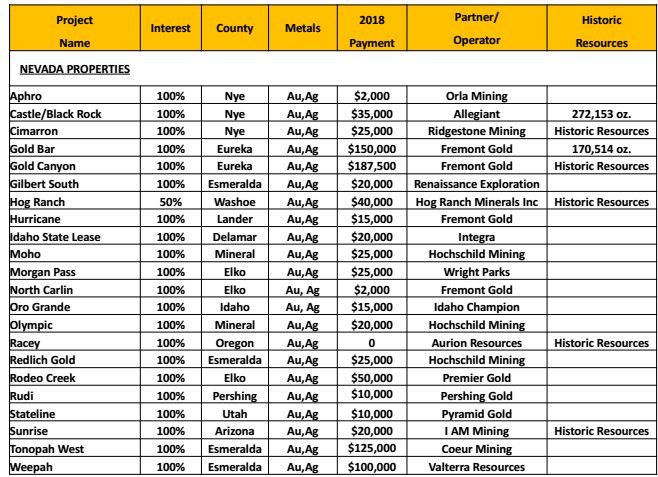 In early August, Ely Gold Royalties optioned the 11-claim Stateline project in Iron County, Utah to private company Pyramid Gold Inc for annual payments and retained a 2% NSR. On Friday, the company announced acquisition of three new properties. 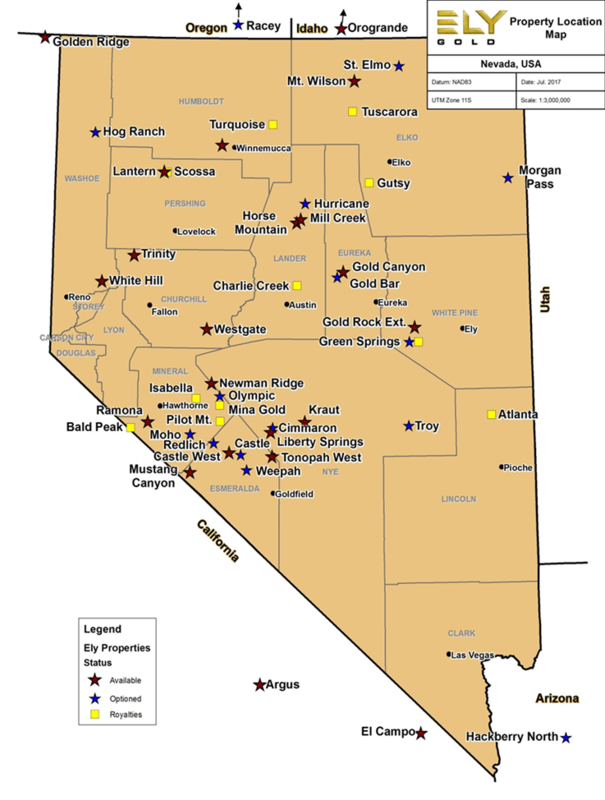 It staked 31 claims at Rodeo Creek, Elko County, Nevada, adjacent to the aforementioned South Arturo joint venture. It staked the Musgrove Creek prospect, Lemhi County, Idaho, which has a historic resource drilled by Atlas Gold and Newmont Mining. ELY was also granted a state lease on 551 acres in the Delamar district, Owyhee County, Idaho, a property previously explored by Agnico Eagle Mines. In mid-October, ELY acquired the Fenelon 1% NSR in southwestern Quebec from Balmoral Resources for total consideration of C$500,000, one million shares, and one million warrants at 10 cents and a finder’s fee of C$25,000, 50,000 shares, and 50,000 warrants. Wallbridge Mining is currently mining a 35,000 tonne bulk sample underground that is expected to produce about 20, 000 oz gold once processed in a regional toll mill. This week, ELY announced a binding agreement with a private individual to acquire a 0.75% gross royalty for $300,000 on the Isabella-Pearl property of Gold Resource Corp. The transaction should close on or around November 15. The Isabella-Pearl mine is expected to commence production in June 2019 and produce 153,000 ounces of gold over a four-year mine life. 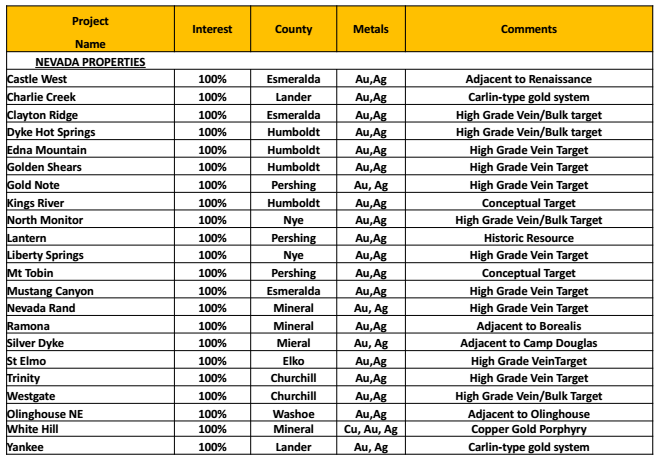 In early August, Ely Gold Royalties obtained an OTCBB listing with the symbol ELYGF. Trading on the OTCQB allows the company to expand its financial communications in the United States and reduce trading limits and restrictions thus improving liquidity for investors. At this juncture, ELY has 77 properties with 51 currently undergoing exploration by partners: 27 properties with deeded royalties and 24 under option. The company’s projects are continuously generated from one of the largest geological databases in the Western US and focused on Nevada, arguably the best gold jurisdiction in the world (Mercenary Musing, January 29, 2018). Another 27 properties are currently available for option. Over the past couple of years, the company has increasingly concentrated on the royalty aspect of its business strategy by growing income from its option portfolio via advance royalty payments and purchasing royalties at reasonable cost from third parties. The company operates with low overhead, is highly leveraged to the price of gold, and is severely undervalued with respect to its peers in the emerging junior royalty space. Its business model restricts share dilution, the bane of most juniors. In fact, ELY has done only one financing over the past seven years. It projects annual revenue to exceed US$2.0 million and should be cash flow positive in 2018. The share structure remains relatively tight for a junior company that is over eight years old. There are 80.1 million shares outstanding, and 89.0 million fully diluted including 6.9 million options, and 2.0 million options at 10 cents with expiry in 18 months. Management controls 11% of the shares and another 25% are tightly held by family and friends. With today’s close at 11 cents, market capitalization is less than C$9 million. 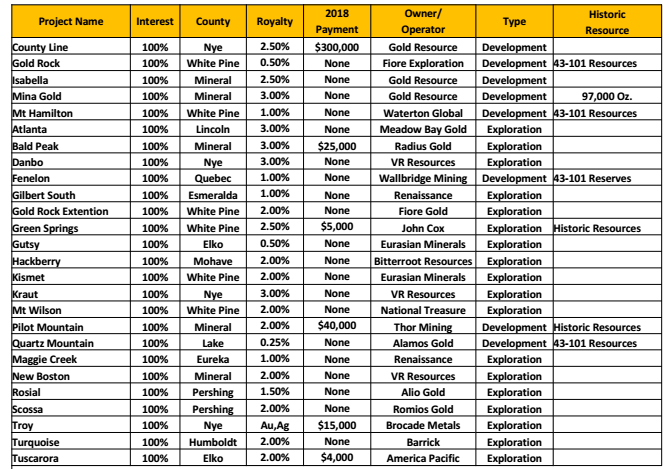 Over the past nine months, Ely Gold Royalties has significantly grown its royalty and property portfolios. It now owns royalties from two small gold mines that will produce ounces and income in 2019. The company is quickly transitioning into junior royalty space but remains significantly undervalued to its peers. At some point, I expect to see a re-rating from a project generator to an emerging royalty company. Since early February, ELY’s positive share performance has been encouraging despite a weak gold price. I am pleased with my stock position in the company and look forward to additional upside. There are several reasons to be bullish on the gold price in the short term. Recent stock market jitters and world geopolitical events have led to a renewal of safe haven gold buying. Other factors include the usual seasonal demand, a dispute over Fed interest rate raises, and potential for another short squeeze in the derivative markets. Therefore, I opine that catalysts are in place for a higher gold price. 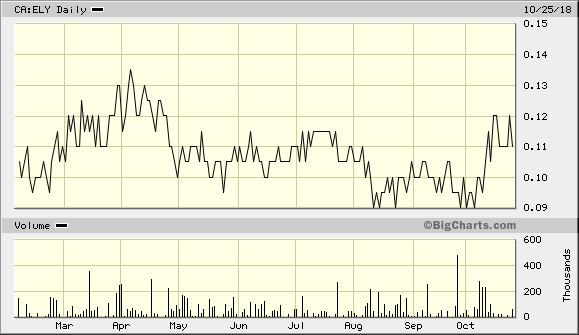 My target for Ely Gold Royalties remains the same: a double in its share price in 12 months or less. Note that the company pays a fee to sponsor this website so I am biased to the upside. Please do your own due diligence before speculating in this or any junior resource stock. Disclaimer and Notice: I am a shareholder of Ely Gold Royalties and it pays a fee of $4000 per month as a sponsor of this website. I am not a certified financial analyst, broker, or professional qualified to offer investment advice. Nothing in any report, commentary, this website, interview, and other content constitutes or can be construed as investment advice or an offer or solicitation or advice to buy or sell stock or any asset or investment. 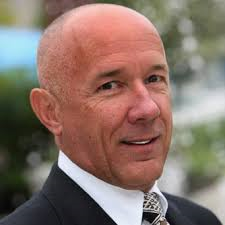 All of my presentations should be considered an opinion and my opinions may be based upon information obtained from research of public documents and content available on the company’s website, regulatory filings, various stock exchange websites, and stock information services, through discussions with company representatives, agents, other professionals and investors, and field visits. My opinions are based upon information believed to be accurate and reliable, but my opinions are not guaranteed or implied to be so. The opinions presented may not be complete or correct; all information is provided without any legal responsibility or obligation to provide future updates. I accept no responsibility and no liability, whatsoever, for any direct, indirect, special, punitive, or consequential damages or loss arising from the use of my opinions or information . The information contained in a report, commentary, this website, interview, and other content is subject to change without notice, may become outdated, and may not be updated. A report, commentary, this website, interview, and other content reflect my personal opinions and views and nothing more. All content of this website is subject to international copyright protection and no part or portion of this website, report, commentary, interview, and other content may be altered, reproduced, copied, emailed, faxed, or distributed in any form without the express written consent of Michael S. (Mickey) Fulp, MercenaryGeologist.com LLC.